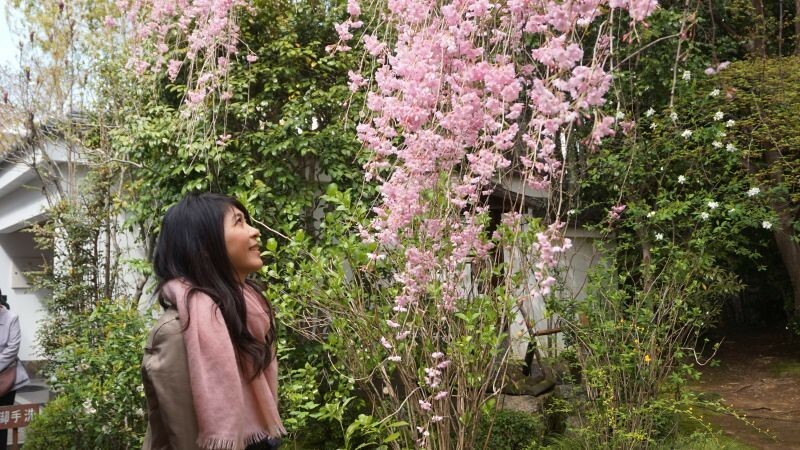 The 7 absolute best spots in Kyoto to view cherry blossoms revealed! 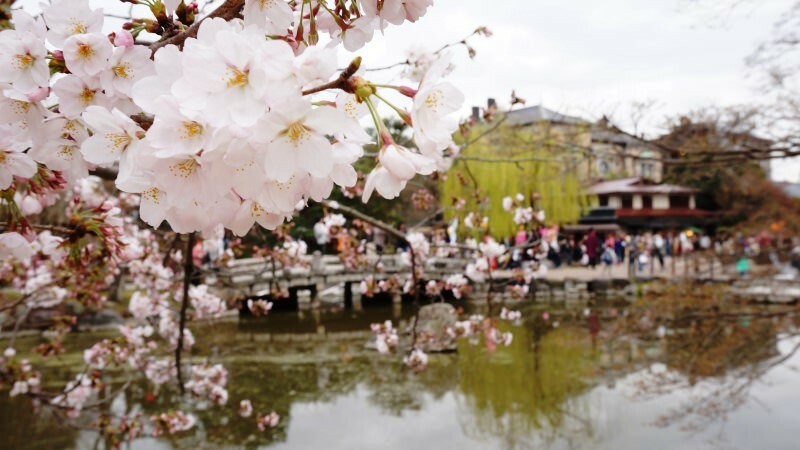 Kyoto is full of tourists in spring and autumn, and the reason for this is known to everyone: the cherry blossoms and autumn leaves. 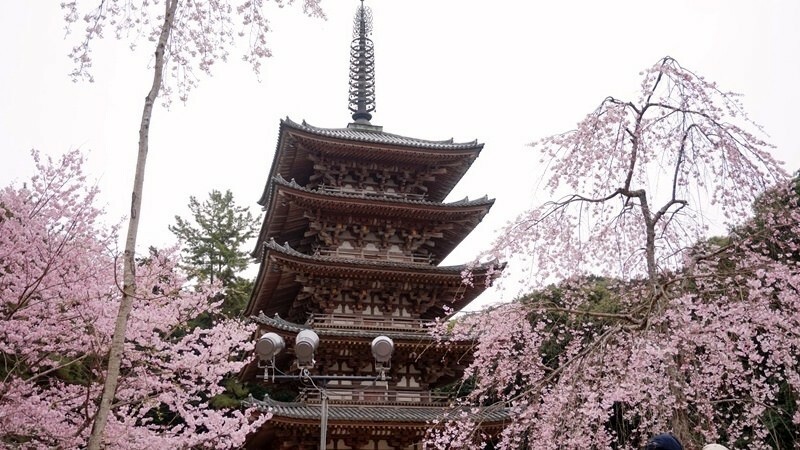 People from all over the world flock over to see the temples and shrines of Kyoto surrounded by cherry blossoms. 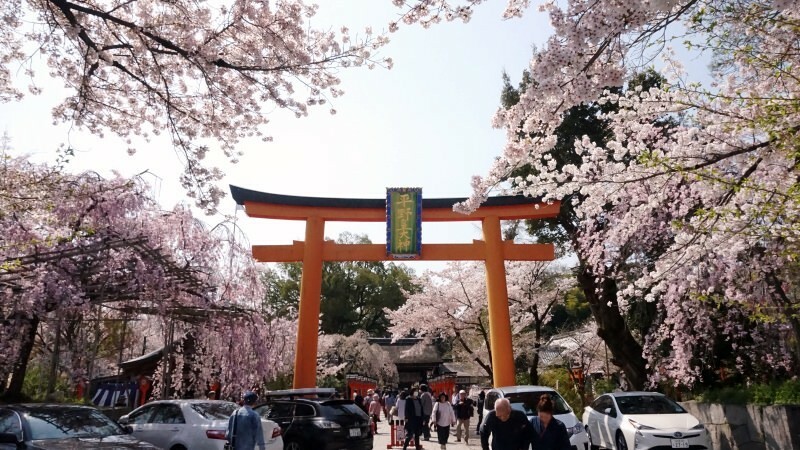 So, if you are wondering which places to go to in Kyoto during the cherry blossom season, check out this article for the seven best ones, conveniently divided into western and eastern Kyoto. 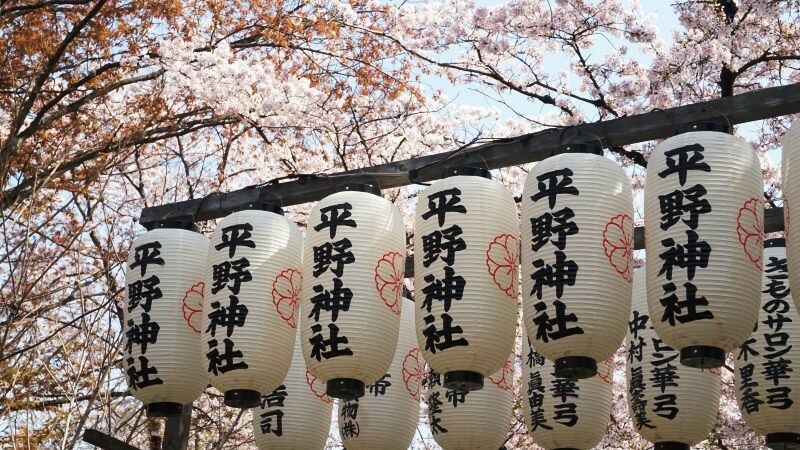 Among the many cherry blossom viewing spots in Kyoto, I want to recommend Hirano Shrine. 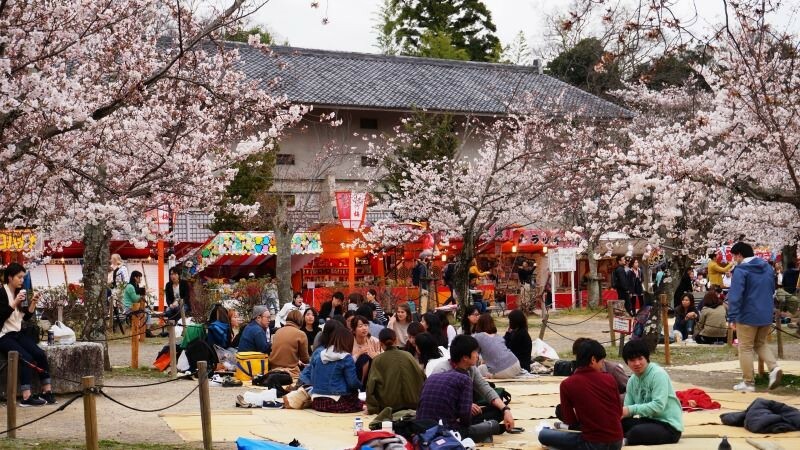 It is right by Kitano Tenmangu Shrine, and in spring the small shrine is bustling with people that came to see the cherry blossoms. 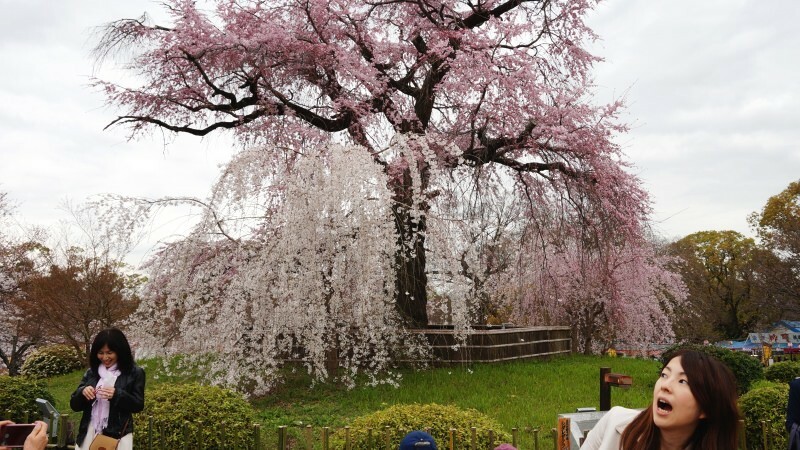 Hirano Shrine is famous for the many types of cherry trees planted on the premises. 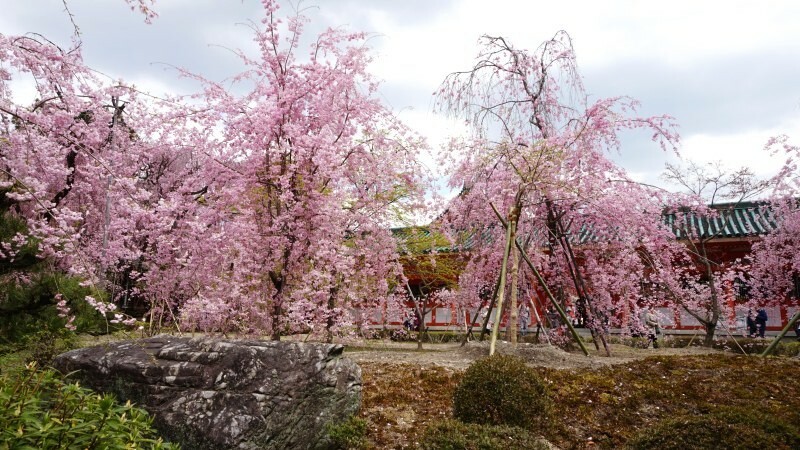 There are over 60 different types of cherry trees, some of them blooming early and some late, so at Hirano Shrine it is possible to enjoy cherry blossoms for an exceptionally long time, for around a month. 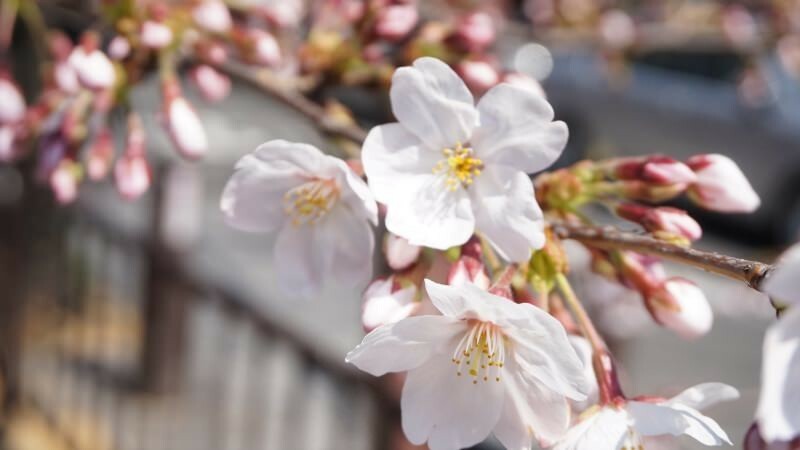 In the sakura flower garden there are many cherry trees, and at night they are illuminated. 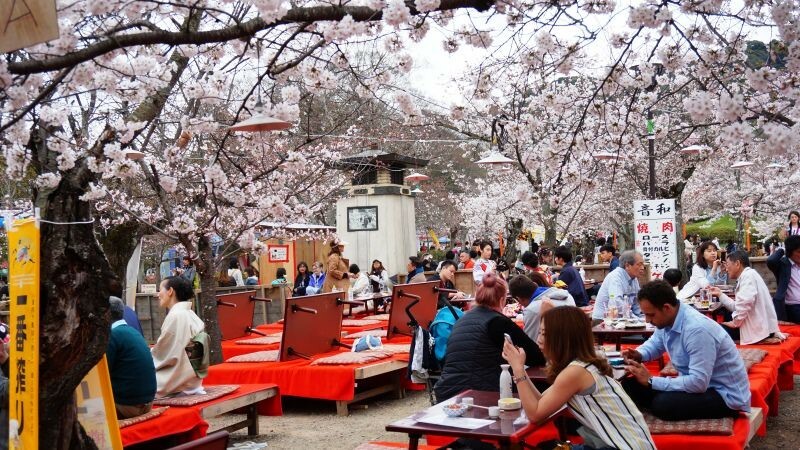 When it is the best time to view the cherry blossoms, there are food stalls and benches, and you may enjoy hanami flower viewing under the cherry blossoms. 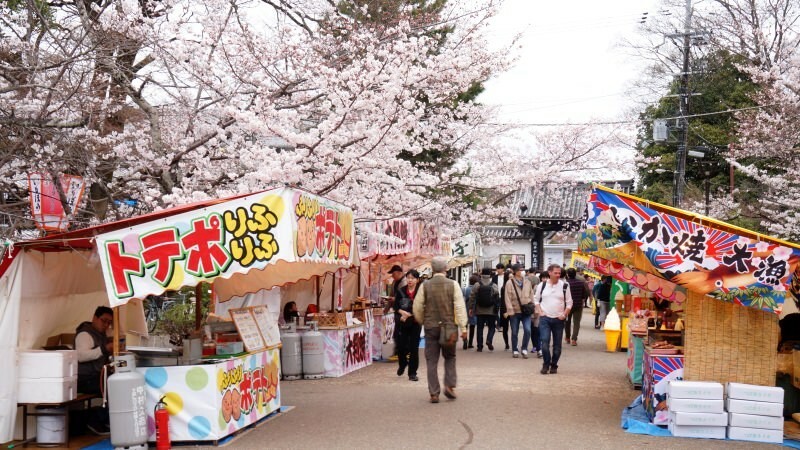 With the food stalls, the feeling is festive and fun. Best time to go Late March to the middle of April. 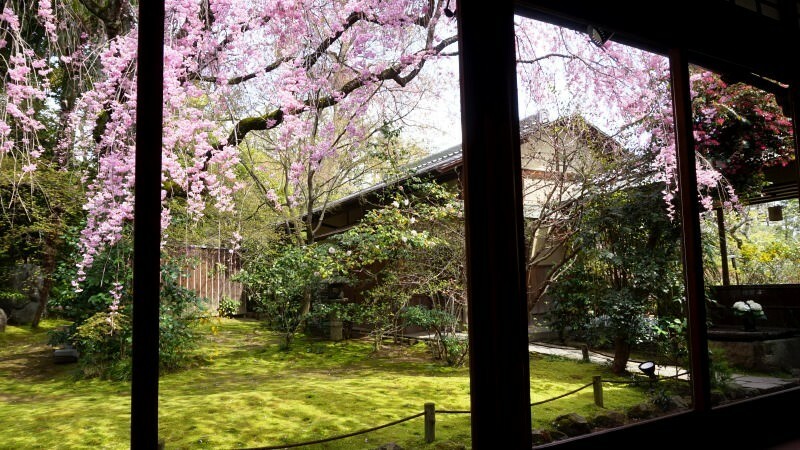 This quiet temple a little way out of the center of Kyoto is called Taizo-in, and it is a sub-temple of Myoshin-ji Temple. 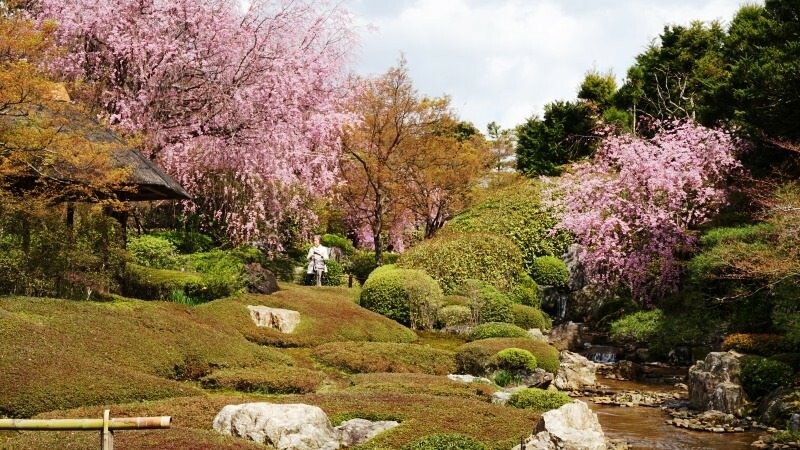 At this temple the contrast between the white pebbles of the rock garden, the green moss, and the pink cherry blossoms makes the scenery look exceptional. 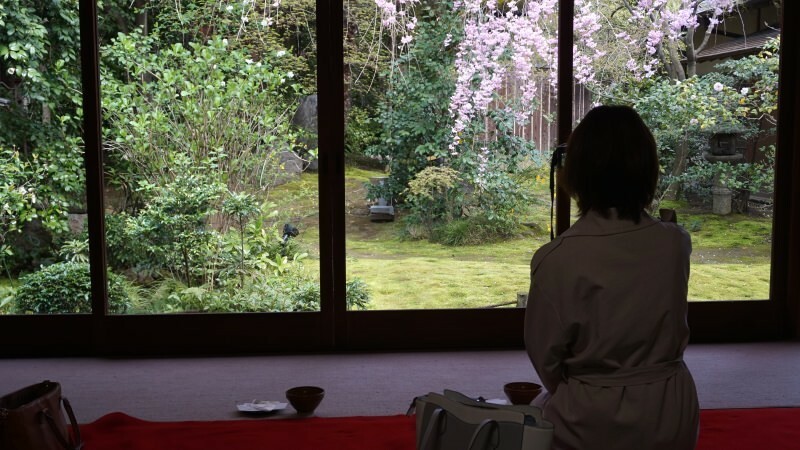 There is also a tea room at the temple, and you can have a cup of matcha tea while you look out the window at the cherry blossoms. 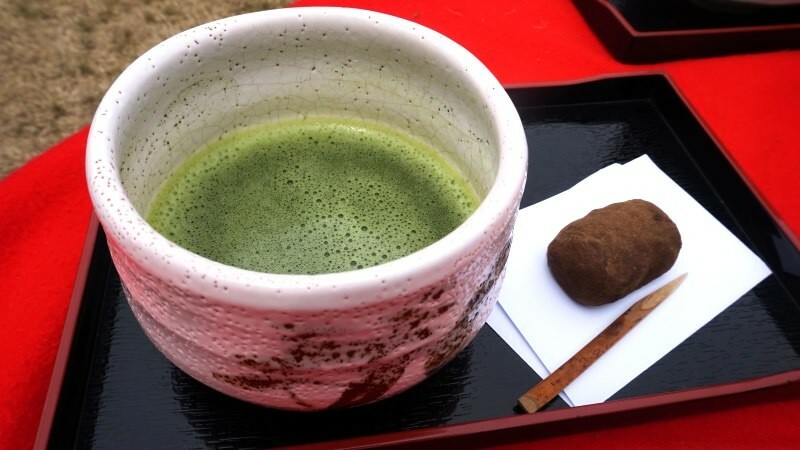 How about a break with a cup of matcha tea? Best time to go: Beginning to middle of April. Daigo-ji Temple is one of the most famous cherry blossom viewing spots in Kyoto, and the sprawling temple complex is located in Fushimi-ku, from the top to the foot of the mountain. 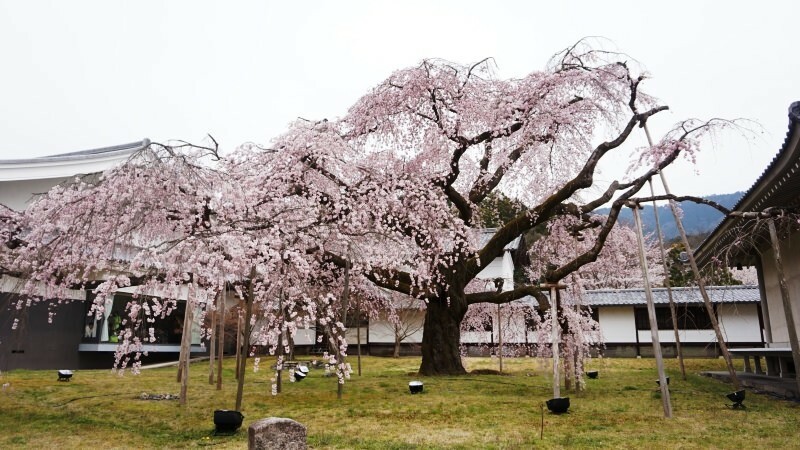 This temple is so famous for cherry blossoms that even the shogun of Japan, Toyotomi Hideyoshi, held a cherry blossom viewing here. Because of this many people go to this temple every year, but as the area of the temple is so big it doesn’t feel at all crowded. 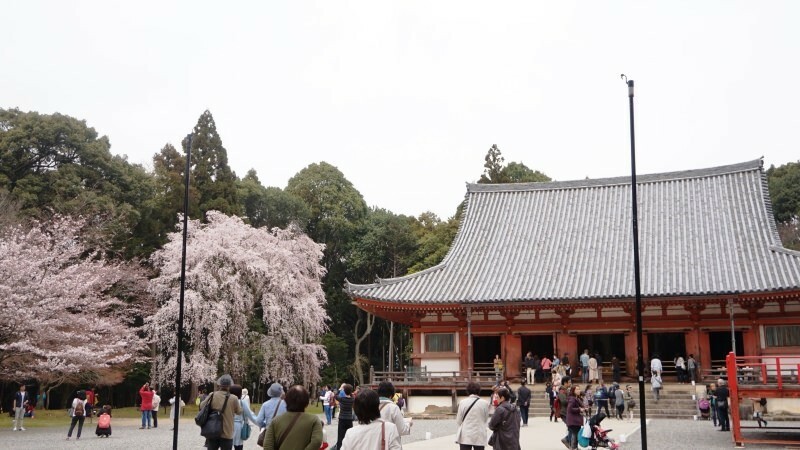 The Five-storied Pagoda, a national treasure of Japan, and the main hall surrounded by cherry blossoms is something everyone going to the temple has to see. 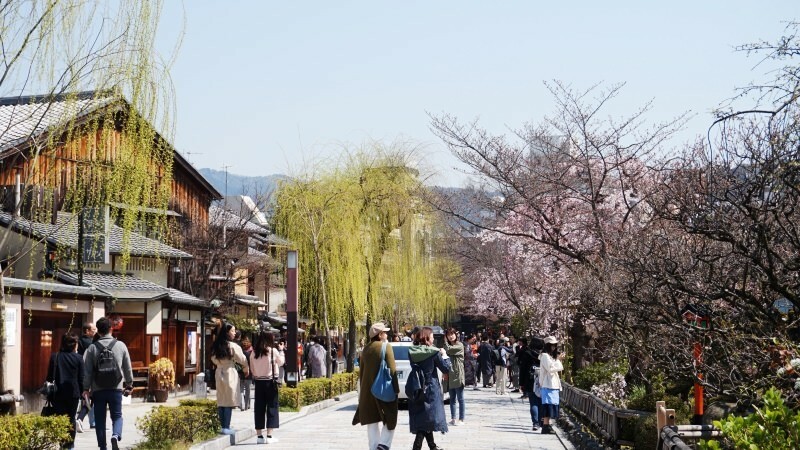 These Kyoto-like sights are something everyone wishes to see when they come to Kyoto. There is a place where you can have bento lunch boxes and matcha tea. 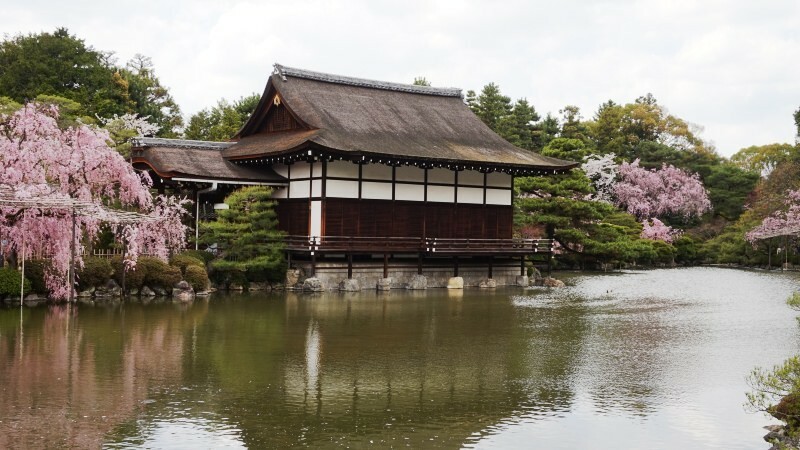 How about having some snacks while you look at the World Heritage Site of Daigo-ji Temple? Best time to go: Late March to early April. 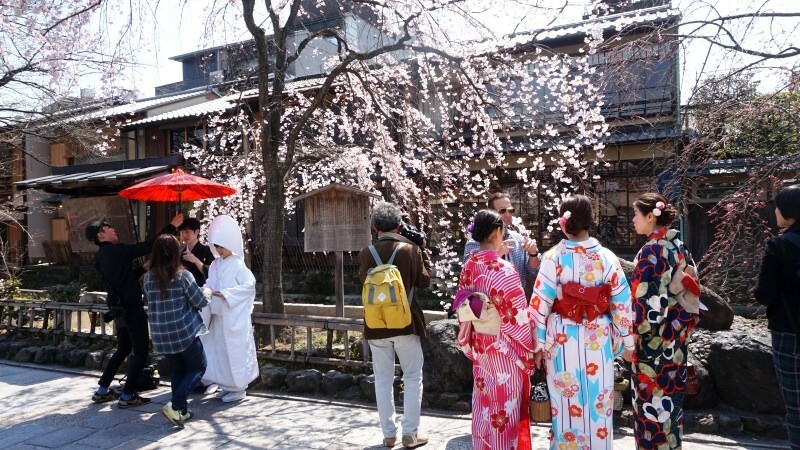 There are many museums and chic cafes in Okazaki, an area especially popular among young people. 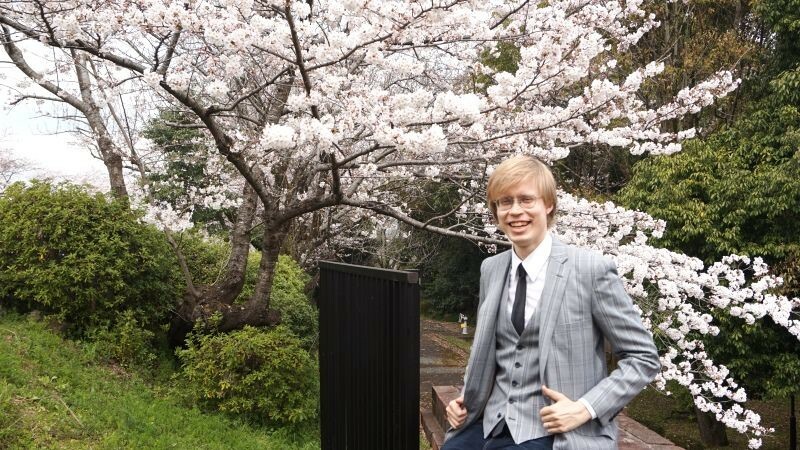 You can, of course, also see cherry blossoms here! 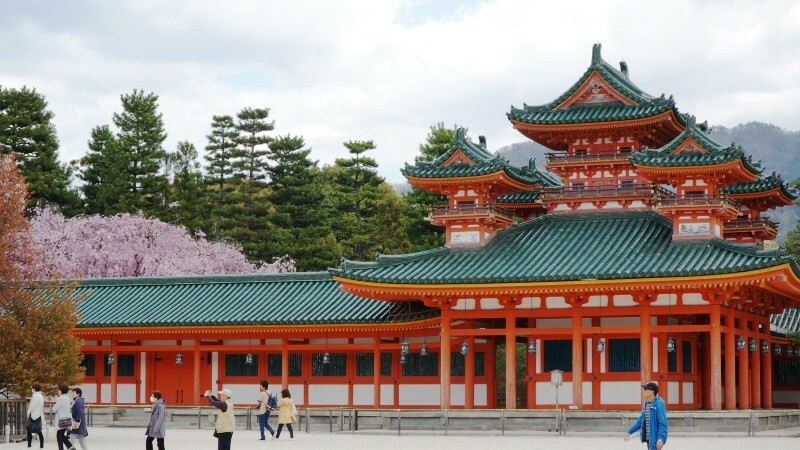 Okazaki is famous for Heian Shrine. 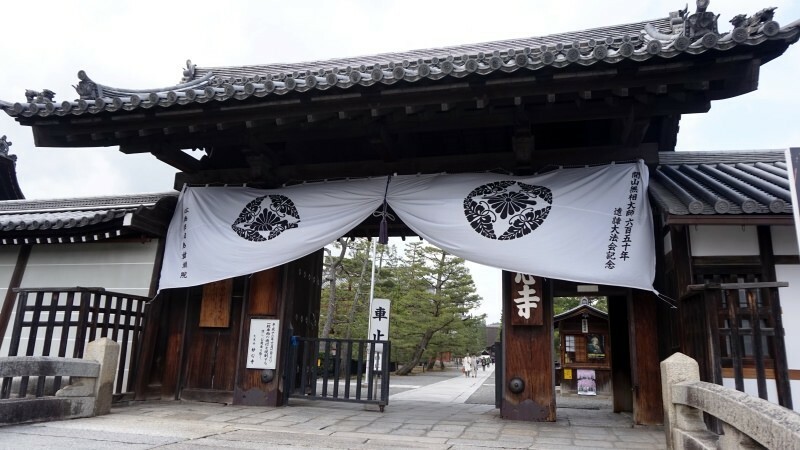 When you get to the shrine, you can see some cherry blossoms peeking from behind the main hall. 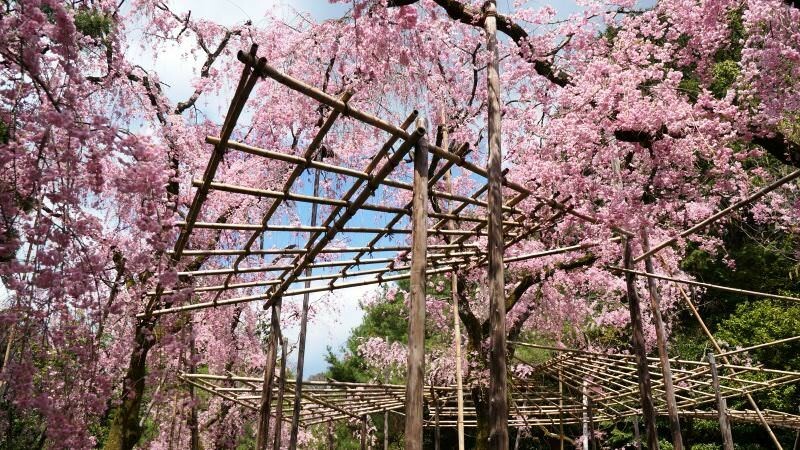 The weeping cherry trees of the Shin’en Garden are especially famous. 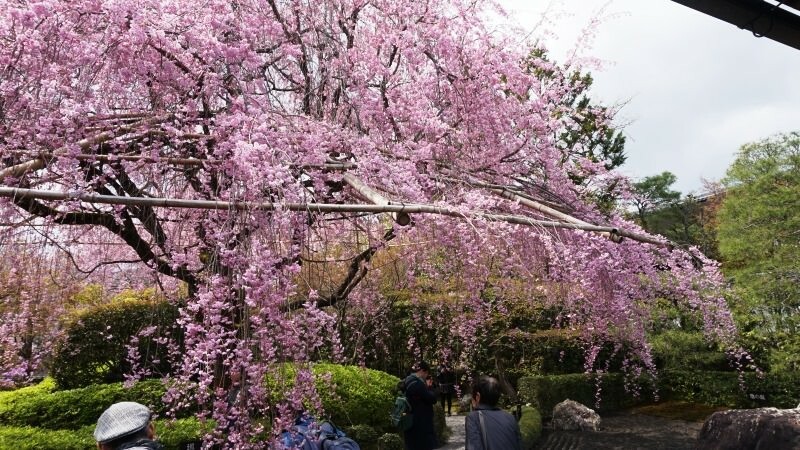 The famous novelist Junichiro Tanizaki also considered these cherry blossoms to be the most beautiful in Kyoto. The way the light pink of the cherry blossoms is reflected on the pond makes the scene look almost like a painting. Entrance ticket to the garden costs 600 yen but I can assure you it is worth it. 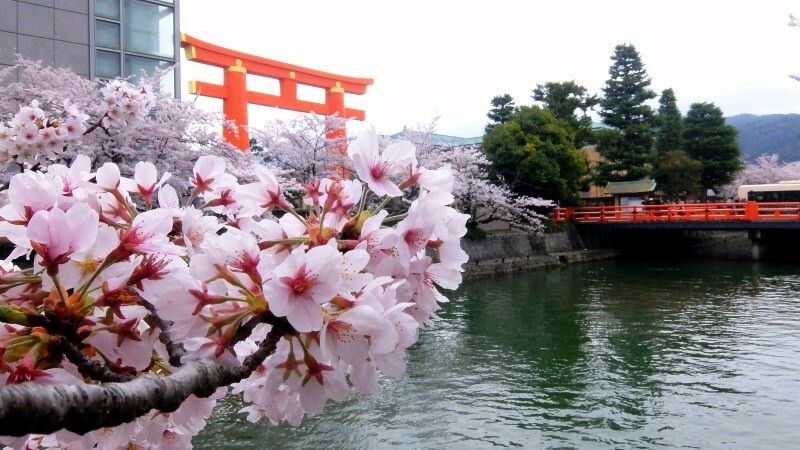 Also, the gate of Heian Shrine seen from the Okazaki Canal is something that cannot be missed. 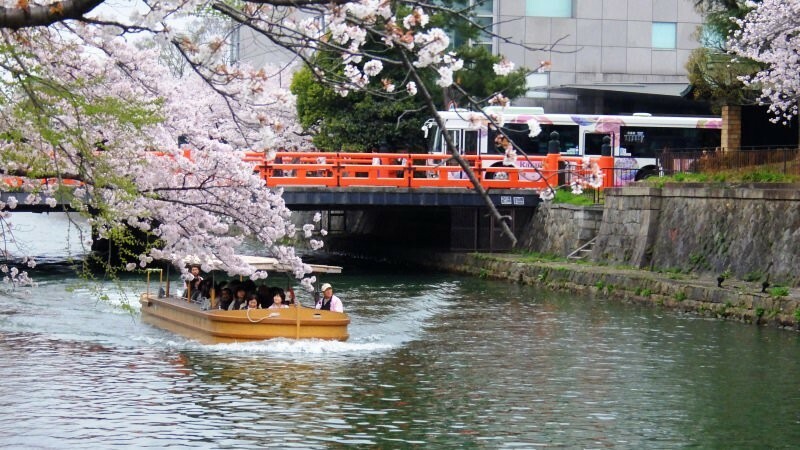 On both sides of the Okazaki Canal, there are cherry trees, and there is also a boat ride you can take to see the cherry blossoms. 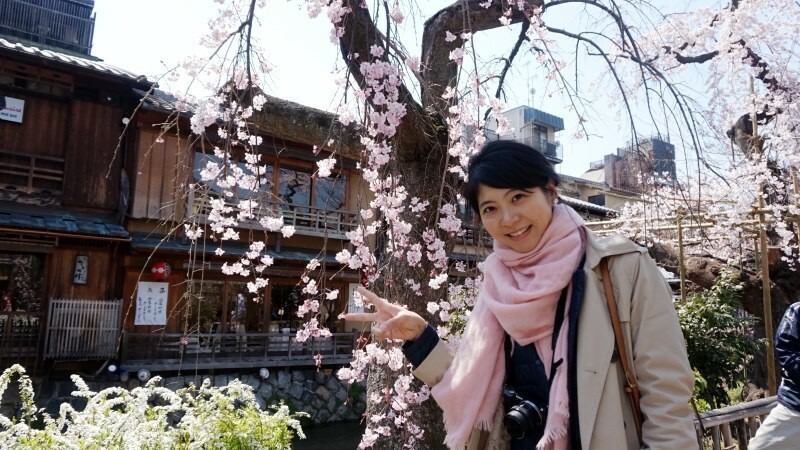 So you can take pictures of the cherry blossoms by the canal, or from the boat, but no matter what you do, I’m sure you will enjoy Okazaki. Best time to view: Early to the middle of April. 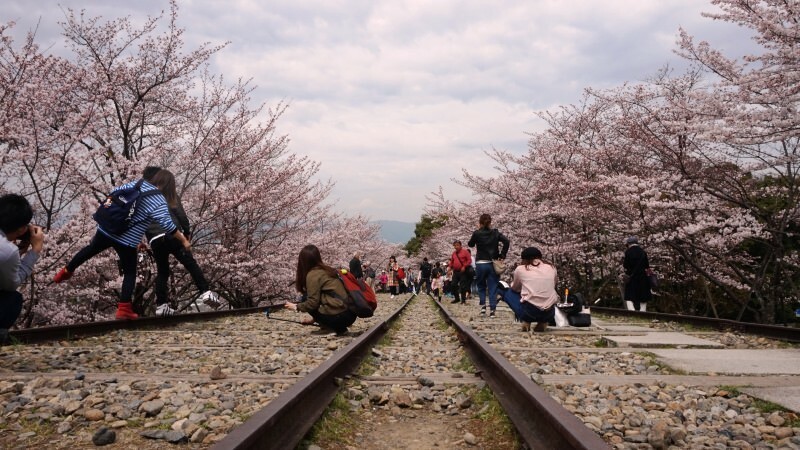 The Keage Incline is the longest inclined plane system railway in the world, and in spring there are a great many people walking on the rails and taking pictures of the cherry blossoms surrounding them. These rails were originally used to transport ships and their cargo. 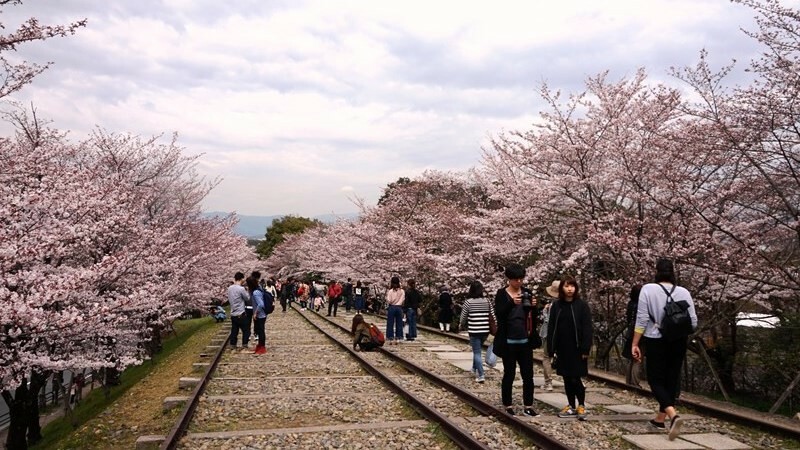 You can freely walk on the rails which have cherry trees on both sides, and enjoy this not often seen sight of rails and cherry blossoms. 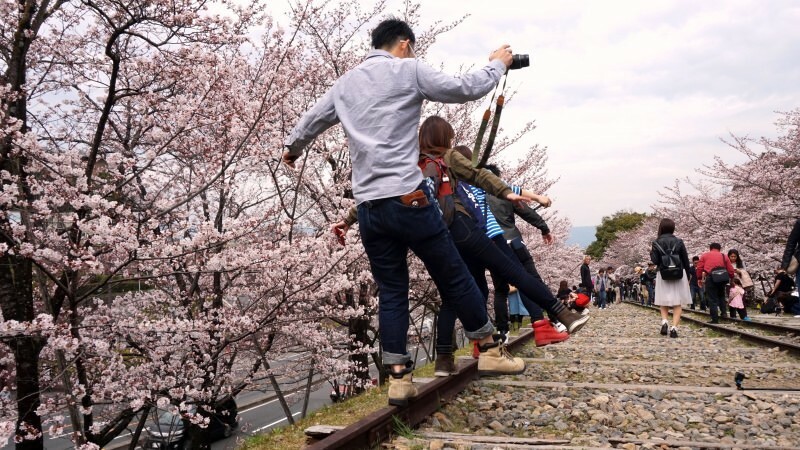 You can walk on the rails, or if you are wearing a yukata, just sitting on them may be a good idea, but the rails keep going on and on; just enjoy the ride! 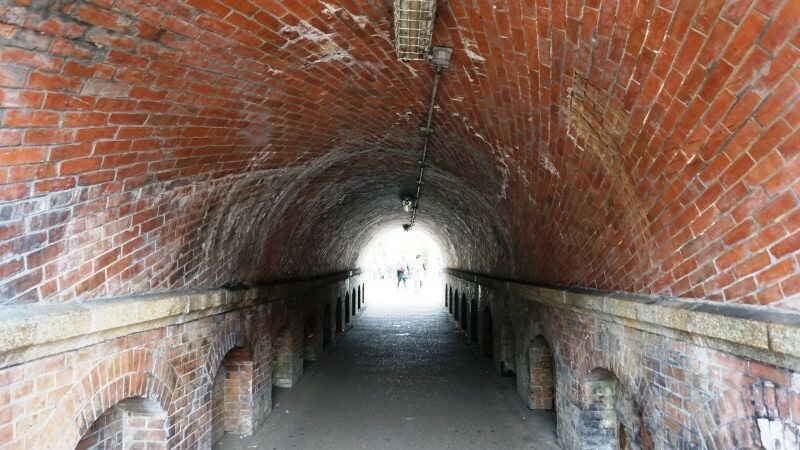 The tunnel under the tracks has an interesting spiral pattern, and there is a lot to see around the tracks, so please take a leisurely walk around this area. Best time to view: Beginning to the middle of April. Next, we have the Shirakawa River which is always popular with tourists. The willow trees and the stone paved streets make this a place with a nice nostalgic feel. 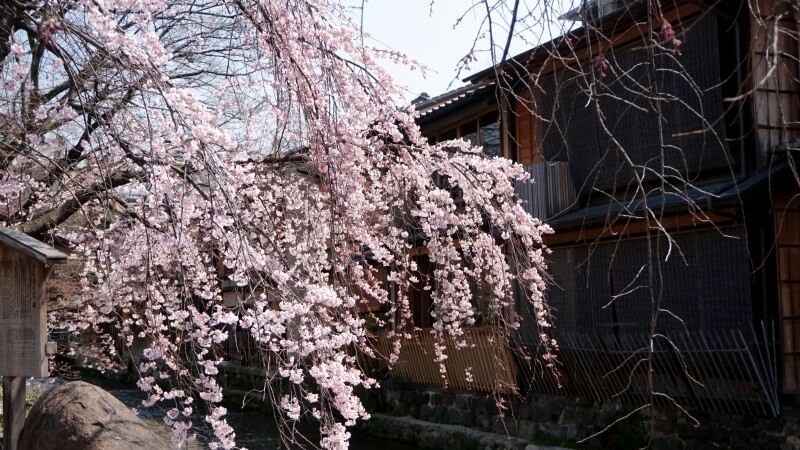 The weeping cherry trees go together well with the traditional townscape. 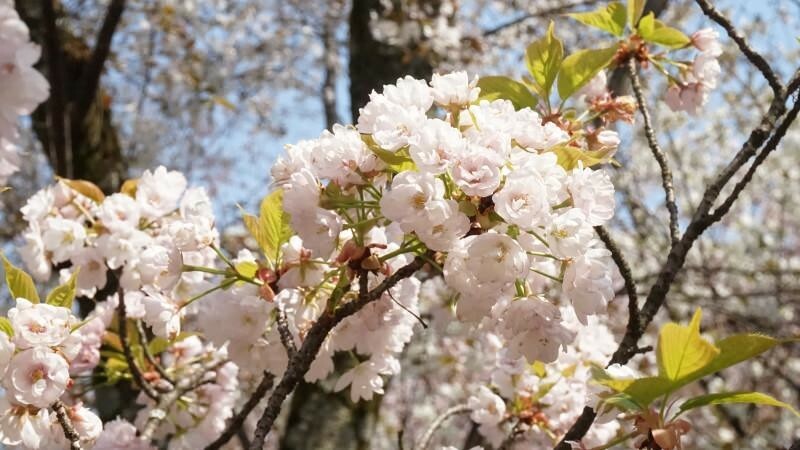 The cute, small cherry blossoms are cute no matter how many times you see them! The streets by the river are great places to take Kyoto-like photos, so many girls wearing kimonos and couples getting married have their photos taken here. 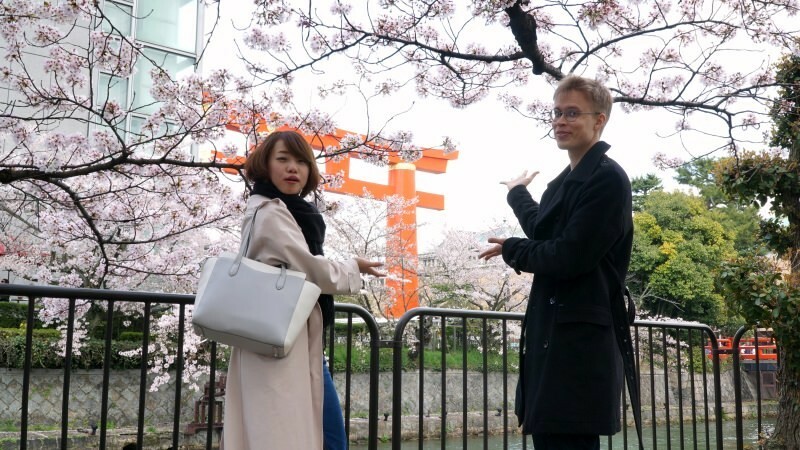 If you go here during the cherry blossom season, I’m sure the pictures you take will become a great memento of your trip to Kyoto. Best time to view: End of March to early April. 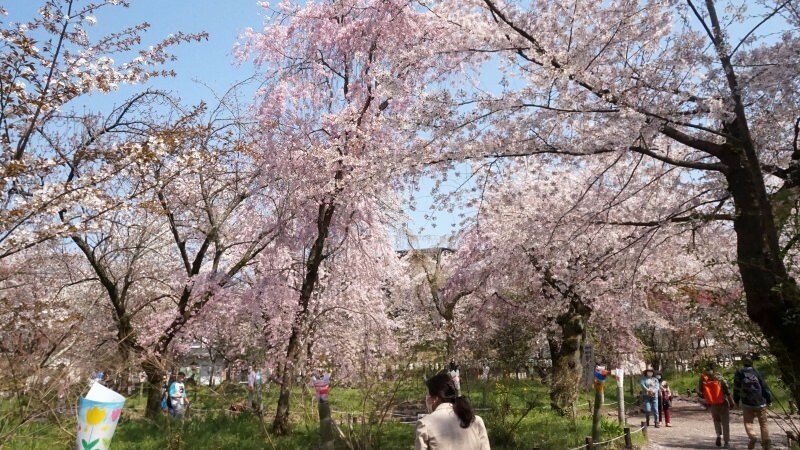 The cherry blossoms at Maruyama Park are also something you cannot miss when in Kyoto. 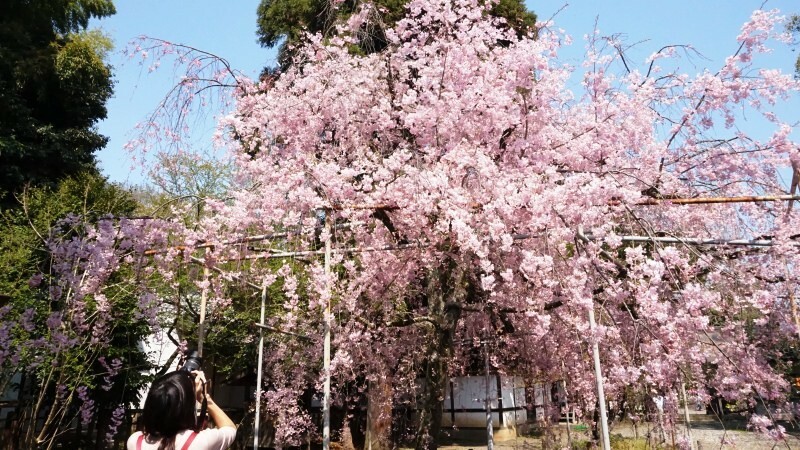 Especially the huge cherry tree in the middle of the park is a powerful sight to behold, and it is even illuminated at night. 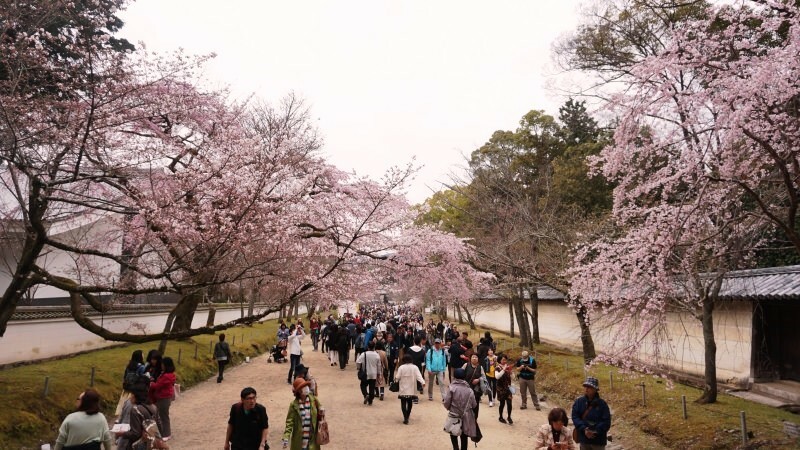 It is also close from Yasaka Shrine and Chion-in Temple so there are always many tourists in the park. 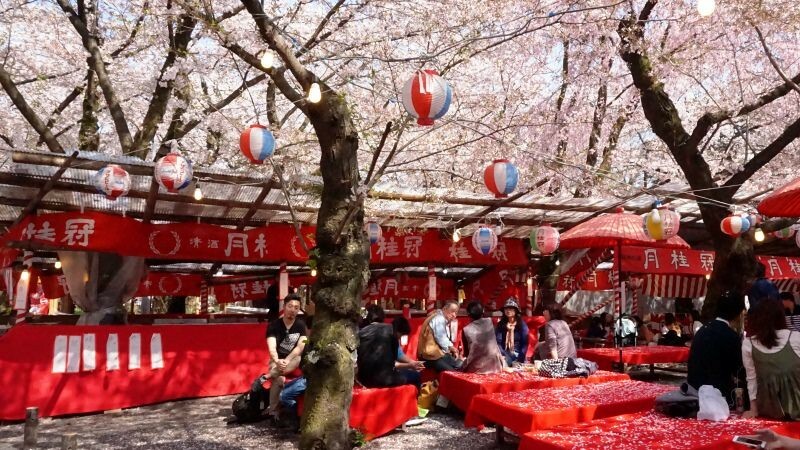 During the cherry blossom season, there are many food stalls in the park and the park is filled with a festive mood. 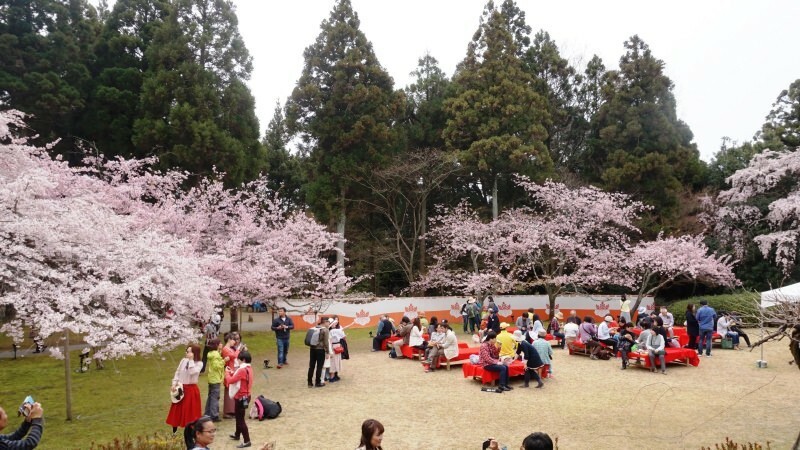 There are also benches for flower viewing, and many people start their beer drinking and snacking from noon. 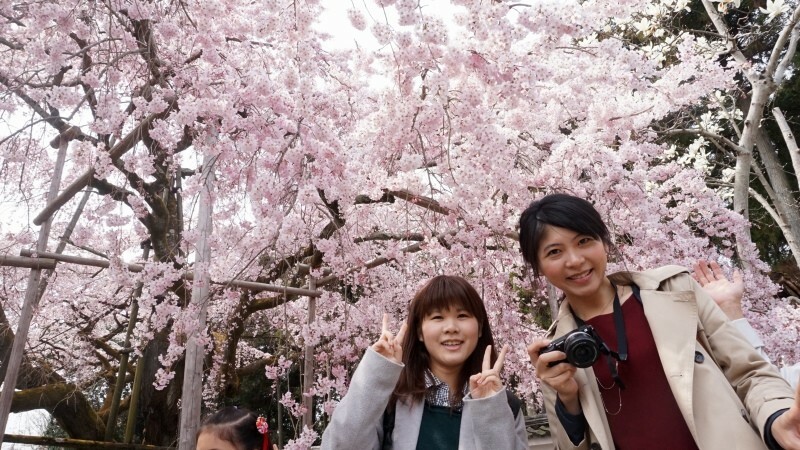 There are many students and visitors from overseas also enjoying the cherry blossoms, so it is easy to join in the fun. Best time to view: Early April. 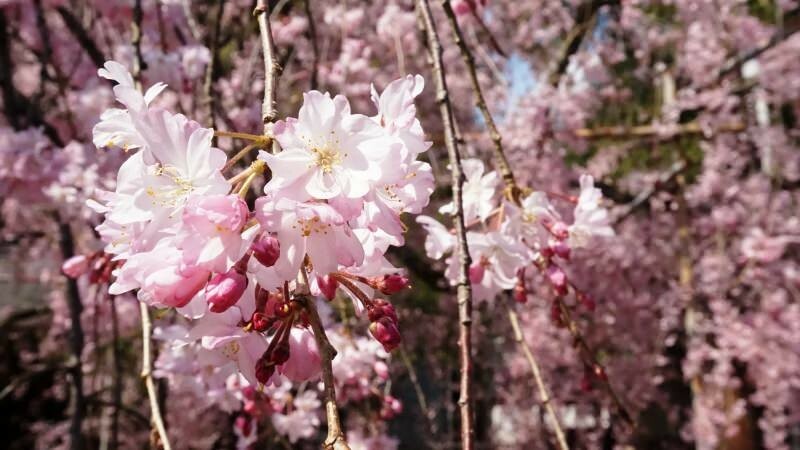 The cherry blossoms in Kyoto are exceptional, and not only at temples and shrines, but you can find beautiful cherry blossoms in parks and in the city too. 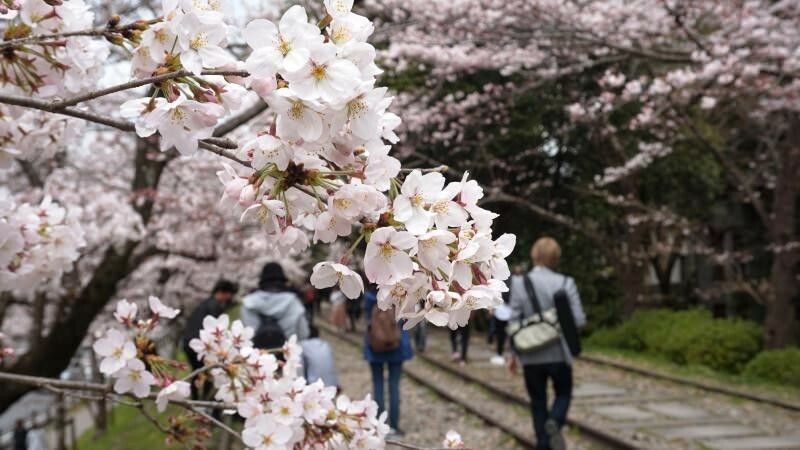 The time you can see cherry blossoms is very short, but this makes the experience feel even more special. None of these places will let you down, so if you found one you like, I hope you go there next spring!